A peaceful escape to a quaint and picturesque region of England. 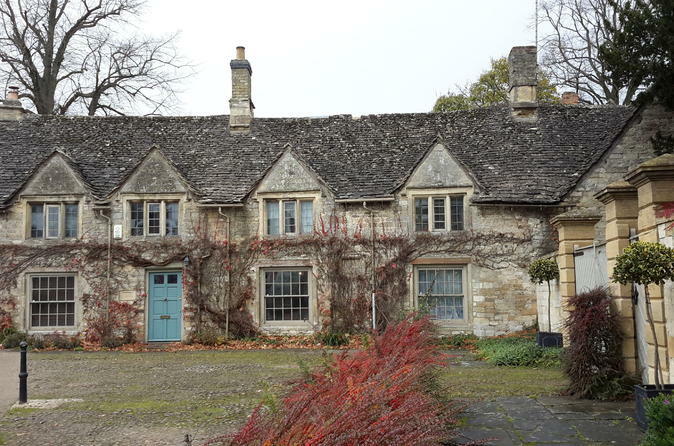 Have a traditional lunch in an old English restaurant, visit teahouses and soak up the charm of the Cotswolds. Depart central London by comfortable, air-conditioned coach and venture into the countryside on your journey to England’s oh-so-pretty region of the Cotswolds. As you travel, listen to your guide share interesting information about the region’s history and attractions, from its stone-built towns to its idyllic villages and lush, rolling fields. Have your camera at the ready as your coach enters the undulating Cotswold hills, and stop first in the lovely town of Burford, famous for its wide main street and houses built from differently hued local stone. 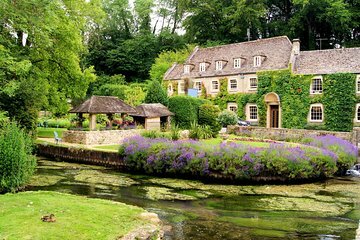 Enjoy a short stop to visit the tea houses and shops ranged along the street, and then continue to the picture-postcard village of Bibury. Stroll around the almost impossibly quaint 17th-century weavers’ cottages at the heart of the village, and then travel to an old Cotswolds hotel to enjoy a 2-course lunch from a menu that includes classic English dishes such as bread-and-butter pudding for dessert. As you eat, soak up the medieval atmosphere of the oak-beamed restaurant, and admire the stone fireplace that bears what are thought to be witches’ marks. Duly refreshed, journey onward to the village of Bourton-on-the-Water and enjoy around an hour of free time here to explore. Then, make your last stop at Stow-on-the-Wold, a small market town that’s one of the Cotswolds’ most charming spots. Get another spell of free time to delve into this picturesque place, perhaps discovering its charming tea and gift shops, and snapping photos of its limestone townhouses. Finally, take your leave of the Cotswolds and return to Victoria in central London where your tour finishes in the early evening.